I'm super excited to write this post. I am obviously very passionate about makeup and most of the time I can't hold back when it comes to buying new stuff for my collection. No, I don't need 50 lipsticks, but I feel like a more well-rounded person when I have enough lip colors to wear a different one every week. Okay, so I bet you're wondering how I can afford all of this makeup while paying for tuition, books, fuel, rent, and food. I have some super exciting ways you can nab some high-end makeup for your collection at a fraction of the cost! I always find great deals on Hautelook, you just have to make sure you mark your calendar and get on the website as soon as the event goes live! Basically they have sales from popular brands like Stila and Tarte, and the products are on sale for almost 80% off. If you have never signed up for Hautelook, you definitely should, and you can do it over at Hautelook.com. This is basically the same as Hautelook, but you might have an actual, physical store near you. I just recently discovered Nordstrom Rack, where I bought an $800 Alexander Wang purse last week for only $250 (!!!!). Basically they have major discounts on "designer" brands of clothes and makeup. I was so excited to find they have a makeup section with brands like Stila, Smashbox, Urban Decay, and Tarte. Most of this stuff is marked down almost 50%. 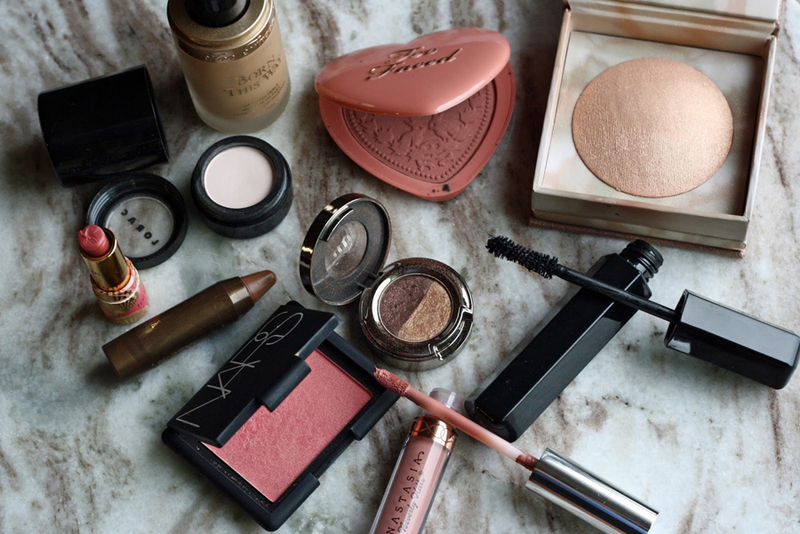 If you don't really have a specific product in mind but are looking to add some high-end makeup to your makeup collection, I would definitely start here. This one is kind of obvious, but it's something a lot of people look past. If you are looking for a specific makeup product, wait a little while to see if it goes on sale. I know that Ulta always mails out coupons for members of their rewards program. I always get a $3.50 off of a $10 purchase one. These are generally only good on products that aren't high end, but if you don't care about the brand of your makeup, you can save quite a bit with these coupons. I know Ulta also runs their "21 Days of Beauty" promotion. During this promotion, every day they have a brand name, expensive makeup product on sale for half off. HALF OFF. This is another awesome way to score that lipstick you've been eyeing. For example, I have a Sephora Beauty Insider card (which gives me points and a free birthday gift every year), Ulta Beauty rewards card (earn points with every purchase as well as a free birthday gift every year), and a Plenti card (this is not specifically for makeup stores, but it works at Macy's, which is where I buy all of my Mac products). These are all free to join, so what are you waiting for? Get 'em and start earning points that you can redeem for free makeup.My favorite makeup rewards program would definitely be Ulta. I am a Platinum Member, and I always get coupons for 20% off my total purchase and tons of e-mails for free sample products to try. Okay, so this isn't really "buying high-end makeup for cheap" but it is a way to be able to add some high-end makeup to your collection without spending a dime. I didn't know this until recently, but you can get a sample of almost any product at Sephora to take home with you for FREE. I personally like to get samples of GlamGlow products because they are really expensive. Typically, you only get enough for one or two uses with each sample, but if you go there often like I do, you can really stock up on some great products! I know you can also get a few samples when you order online from Sephora, but you have to spend money to get those. I love makeup so much and I love that I am able to still buy makeup without spending my entire paycheck on it. 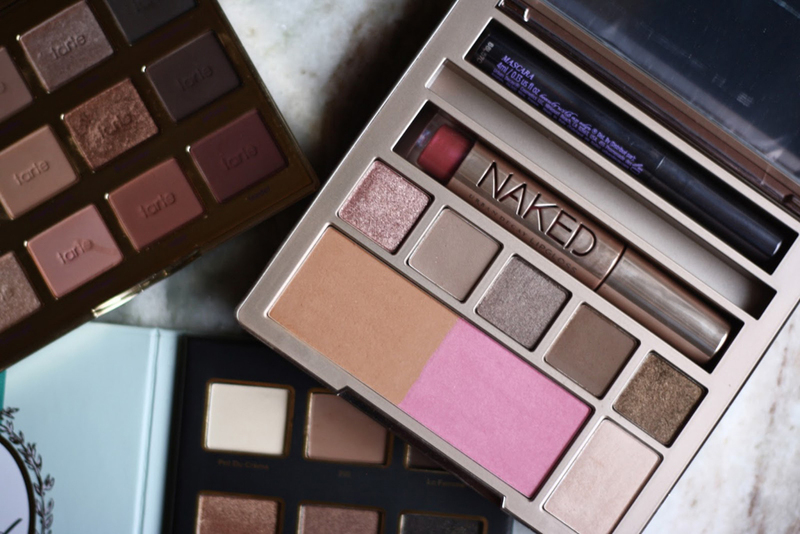 I hope I helped some fellow makeup addicts out there with these tips. Let me know your secrets for buying makeup on the cheap! I love this list! 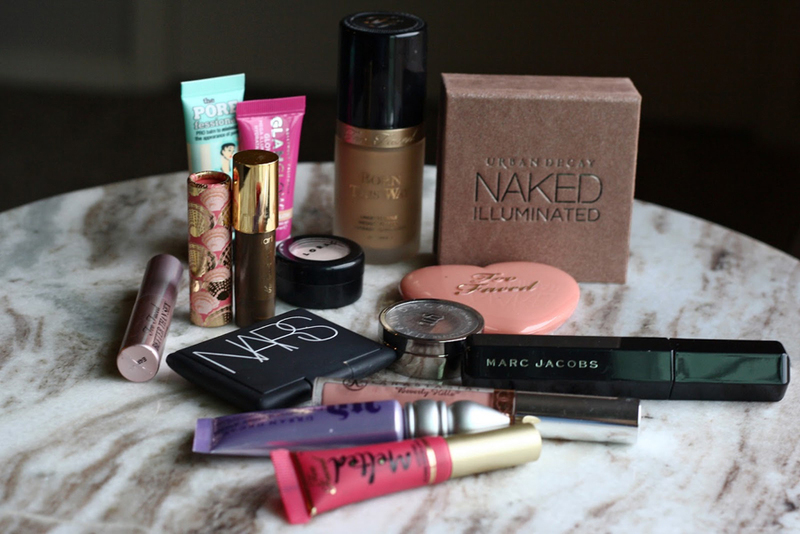 I'm so cheap when it comes to everything, but know that I love high end makeup! The quality is so much better. I haven't checked Nordstrom Rack or Hautelook yet, so that's on my to do list now. I also really like the colors in the Naked palette in the last picture...going to have to find me that somewhere!